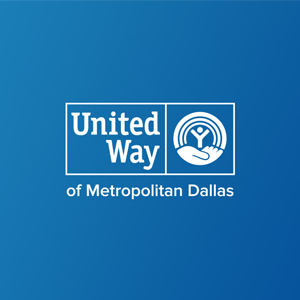 DALLAS, November 15, 2018 — FWD>DFW (fwddfw.com), a new resource connecting North Texans to the most critical issues impacting Dallas-Fort Worth, is excited to announce United Way of Metropolitan Dallas (UWMD) as its founding strategic community impact partner. UWMD’s local programs are making progress in the areas of education, income, and health which are the building blocks of a thriving community and FWD>DFW’s focus. United Way’s founding partnership, with additional funding and support from Texas Instruments, will continue to help raise awareness for these issues that are affecting the short- and long-term economic prosperity of the region. Texas Instruments chairman, president, and CEO Rich Templeton and his wife, Mary Templeton, are serving as UWMD’s 2018-19 annual campaign chairs. Specifically, the partnership will serve UWMD’s community goal of moving 250,000 North Texans out of poverty and giving thousands of people the tools to lead healthy, productive lives while ensuring that 60 percent of students graduate with the skills to succeed in whatever comes next — all by 2020. A component of the FWD>DFW and UWMD’s partnership will include a new, public volunteer event in Spring 2019 along with other events throughout the year. Everyone is invited to join the FWD>DFW movement by visiting fwddfw.com; signing up for the email newsletter; and following the latest FWD>DFW updates on social media. As an extension of A.H. Belo Corporation, the parent company of The Dallas Morning News, FWD>DFW sparks awareness, conversation, and measurable improvement in the equitable education and wellness of the Dallas-Fort Worth community by curating content and information about these key issues while offering ways that citizens can take action and help. Part of FWD>DFW’s content includes feature stories on local companies that are paying it forward by making corporate giving and social responsibility a key part of their mission, thus fostering an impassioned workforce that cares about making North Texas a better place for future generations. In addition to United Way of Metropolitan Dallas, the founding partners of FWD>DFW include Baylor Scott & White Health, Frito-Lay, Toyota Motor North America, and The Dallas Morning News. To learn more, visit www.fwddfw.com. United Way of Metropolitan Dallas strives to improve lives in Dallas, Collin, Rockwall and southern Denton counties. Since 1924, the organization has been helping North Texans by treating 360 degrees of need, including immediate issues like hunger and homelessness, plus the long-term causes of need — poor health, lack of education, and financial instability. To learn more, visit www.unitedwaydallas.org. H. Belo Corporation is the leading local news and information publishing company in Texas with commercial printing, distribution and direct mail capabilities, as well as a presence in emerging media and digital marketing. While focusing on extending the company’s media platforms, A. H. Belo delivers news and information in innovative ways to a broad spectrum of audiences with diverse interests and lifestyles. For additional information, visit www.ahbelo.com or email invest@ahbelo.com.